Diphenhydramine hydrochloride (trade name Benadryl as produced by Johnson & Johnson, or Dimedrol outside the U.S. & Canada. Nytol as a sleeping pill) is an over-the-counter (OTC) antihistamine, sedative and hypnotic. It may also be used for the treatment of extrapyramidal side effects of typical antipsychotics. It is a member of the ethanolamine class of antihistaminergic agents. Diphenhydramine is an anticholinergic, possessing 58 per cent of the anti-muscarinic power of atropine and was discovered during the search for synthetic alternatives to scopolamine which would be easier to work with. 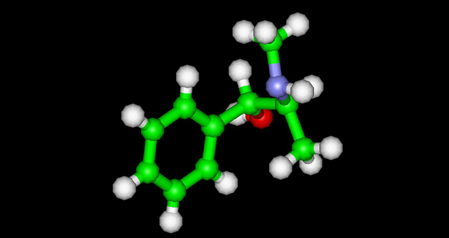 Diphenhydramine was one of the first known antihistamines, invented in 1943 by Dr. George Rieveschl. It became the first FDA-approved prescription antihistamine in 1946. The brand Benadryl is currently trademarked in the United States by Pfizer, however many drug store chains and retail outlets manufacture less-costly generic versions under their own store brands. 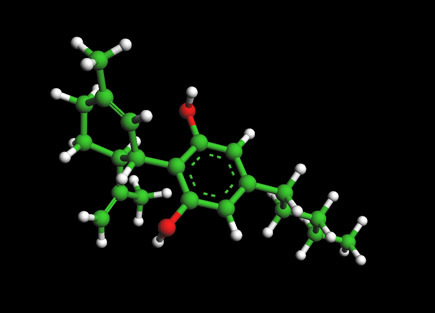 Diphenhydramine works by blocking the effect of histamine at H1 receptor sites. This results in effects such as the reduction of smooth muscle contraction, making diphenhydramine a popular choice for treatment of the symptoms of allergic rhinitis, hives, motion sickness, and insect bites and stings. In the 1960s it was found that diphenhydramine inhibits reuptake of the neurotransmitter serotonin. This discovery led to a search for viable antidepressants with similar structures and fewer side effects, culminating in the invention of fluoxetine (Prozac), a selective serotonin reuptake inhibitor (SSRI). A similar search had previously led to the synthesis of the first SSRI zimelidine from chlorpheniramine, also an antihistamine. It is known that diphenhydramine has sedative properties. Many new antihistamines have been introduced without the side effect of sedation. The drug is also used as a sleep aid and is an ingredient in many sleep aids, such as Unisom gelcaps (however, the tablet form of Unisom contains Doxylamine, a different active ingredient), and most notably Tylenol PM where it is combined with acetaminophen (paracetamol), and Nytol and Sominex which have diphenhydramine as the only active ingredient. Several generic and store brands of antihistamines and sleep aids also contain solely diphenhydramine, such as Tylenol Simply Sleep. Like many other first-generation antihistamines, diphenhydramine is a potent anticholinergic agent. This leads to profound drowsiness as a very common side-effect, along with the possibilities of motor impairment (ataxia), dry mouth and throat, flushed skin, rapid or irregular heartbeat (tachycardia), blurred vision at nearpoint owing to lack of accommodation (cycloplegia), abnormal sensitivity to bright light (photophobia), pupil dilation (mydriasis), urinary retention (ischuria), constipation, difficulty concentrating, short-term memory loss, visual disturbances, hallucinations, confusion, erectile dysfunction, and delirium. Some side effects such as twitching may be delayed until the drowsiness begins to cease and the person is in more of an awakening mode. Diphenhydramine also has local anesthetic properties, and has been used for patients allergic to common local anesthetics like lidocaine. Severe, prolonged twitching and muscle spasm have also been experienced. The most common cardiac dysrhythmias associated with diphenhydramine overdose are sinus bradycardia, elongated S-T segment interval, and premature ventricular contraction. Diphenhydramine is similar in its effects to dimenhydrinate (Dramamine®), its 8-chlorotheophylline salt, although the latter is approximately 60% the potency in terms of required dosage and is slightly less sedating. Some patients have an allergic reaction to diphenhydramine in the form of hives. James Ritchie. UC prof, Benadryl inventor dies. Business Courier of Cincinnati. Retrieved on 2007-10-23. Raphael GD, Angello JT, Wu MM, Druce HM (2006). "Efficacy of diphenhydramine vs desloratadine and placebo in patients with moderate-to-severe seasonal allergic rhinitis.". Ann Allergy Asthma Immunol 96 (4): 606-614. PMID 16680933.